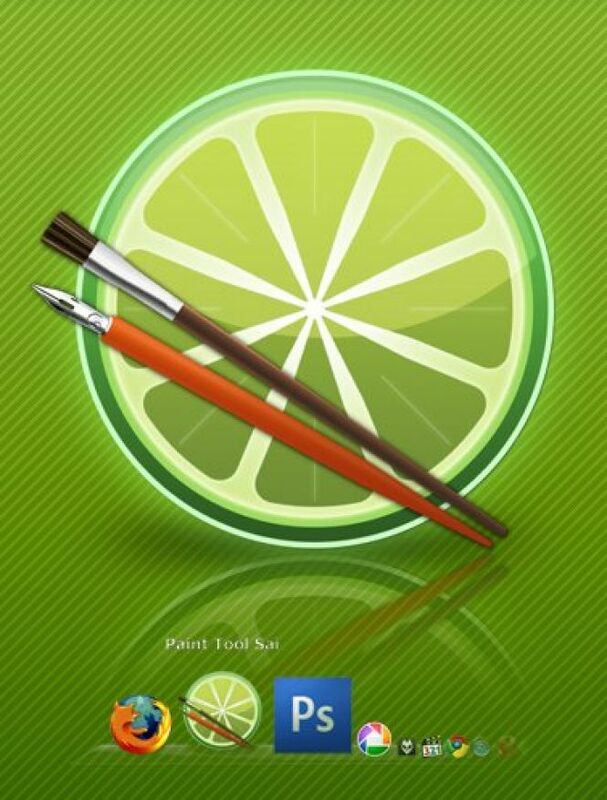 Paint Tool SAI 2 - download in one click. Virus free. Download the latest version of Paint Tool SAI 2 with just one click, without registration. 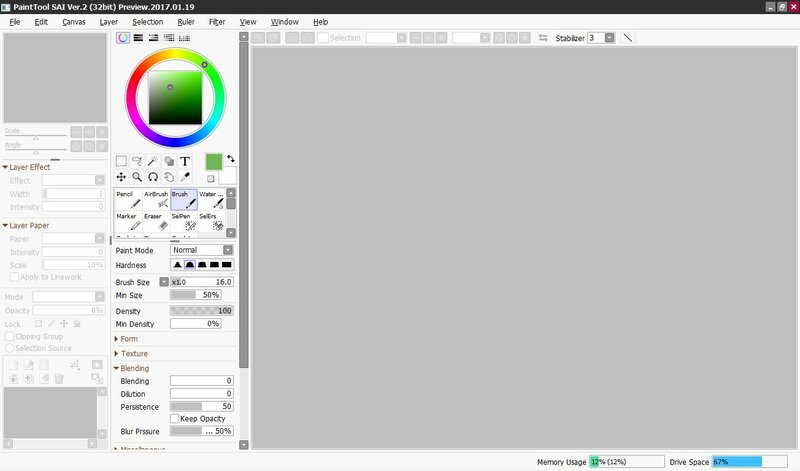 It is a standalone setup package that contains the full offline installer for Paint Tool SAI 2. Paint Tool SAI 2 is a new version of widely known painting application. 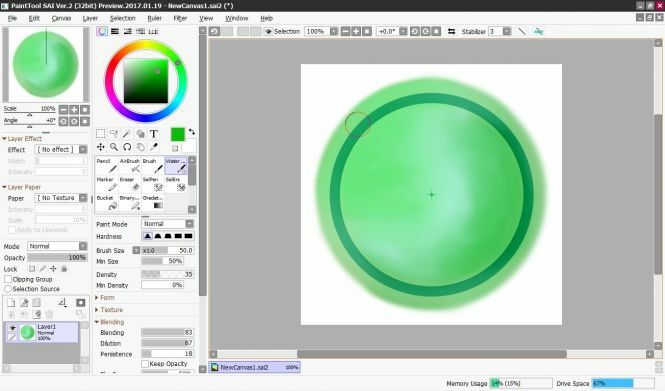 Its most famous feature is that SAI focuses on the process of drawing rather than editing and because of that differs greatly from Paint Shop Pro or Photoshop. For now, the developer published only the technical preview version, but some new features are already available and some are announced. The new version of Paint Tool SAI supports wider canvas size: up to 100000x100000 px in 64bit version and up to 10000x10000px in 32bit version. With brush size varying from 1 to 5000 px, the new option allows to create highly detailed drawings. Also, the file support has widened up, too: now SAI works with TGA format as well as PSD, PSB and the usual BMP, JPEG, and PNG formats. What else? The new version supports usage of more layers (up to 8190, the last version supported 256 layers), and there's new layer type — Text one. The selection tools became more flexible, as it's possible to work with pixels as floating objects and operate two multiple layer items. Also, there are some changes in additional tools — rulers and view options. You can use not only straight and ellipse rulers to create geometrically perfect shapes but also create a perfect perspective. The Perspective Ruler tool supports from 1 to 3 vanishing points, providing sufficient aid in creating complicated landscapes and using unusual points of view. All in all, the new version, despite its shortcomings in being just a technical preview, provides a really nice environment for creative drawing. So, it's surely worth checking, while we wait for the full Paint Tool SAI 2 release.